Growing plants in compounds that do not include traditional soil is considered a soilless planting culture, according to the University of Florida’s Horticultural Sciences Department. Some organic materials that can be used in place of soil for growing plants include vermiculite, sand and sawdust, a product of wood chipping. If you would like to plant a vegetable garden, and your soil is not rich enough to sustain plants, you can add sawdust to the soil or create a proper growing bed for your vegetables with sawdust in containers. Make a pile of the sawdust in an out-of-the-way section of your yard to cure it. Choose an area that won’t be hit with direct sunlight. Move the “stir” the pile every two to three months by shoveling sections of the pile out, turning them over and returning them to the pile, just as you cure standard compost. Cure the sawdust that you want to add to your garden for a year. According to the University of Missouri, curing sawdust eliminates some of the elements of the dust that rob plants of nitrogen. Till the soil where you want to plant vegetables to a depth of 6 to 12 inches. Layer approximately 1 inch of sawdust on top of the soil and then work the sawdust down into the soil with a rake or shovel. Plant your garden as normal in the sawdust-soil mix. Spread seed over the area if planting from seed, or transplant each seedling from its container into the garden if planting your garden from started plants. Add nitrogen fertilizer at a rate of 27 lbs. 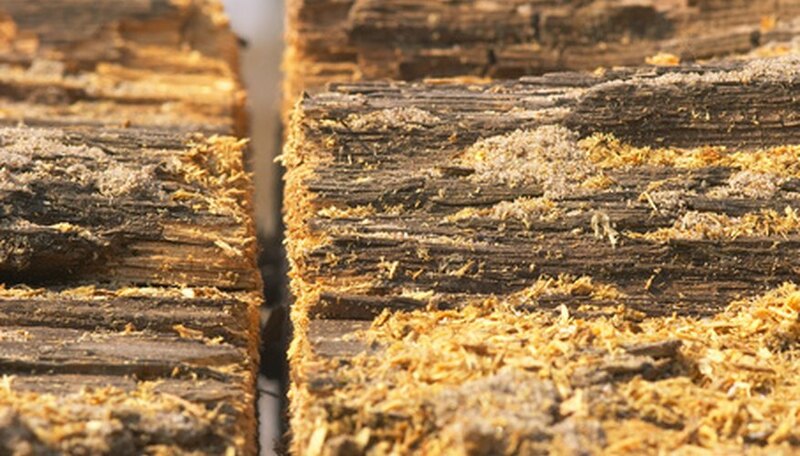 for every 1,000 square feet to counteract the nitrogen used by the sawdust, advises the University of Missouri. Fill a container with sawdust for each type of vegetable that you wish to grow. Choose solid plastic containers or wooden containers lined with plastic. Use containers at least 12 inches deep. Mix fertilizer or organic compost, into the sawdust to provide the necessary nutrients. The more compost you use, the more nutrients your vegetables will get, but leave enough sawdust to provide the plants support. Keep the fertilizer proportion at about 25 percent of the total volume. Cast the seeds on top of the sawdust or plant seedlings into the sawdust. Space the vegetables according to the directions on the packet or label. Add a nutrient solution to the sawdust bed every one to two weeks. A nutrient solution contains all of the necessary nutrients contained in garden soil that help plants grow. To apply the solution to container sawdust plants, scatter the solution in its dry form on the surface of the sawdust mix, and then water the plants to wash the nutrient solution down into the roots. If you use clear containers, paint the outside with dark paint. According to the University of Florida, this prevents the sun from affecting the root system.